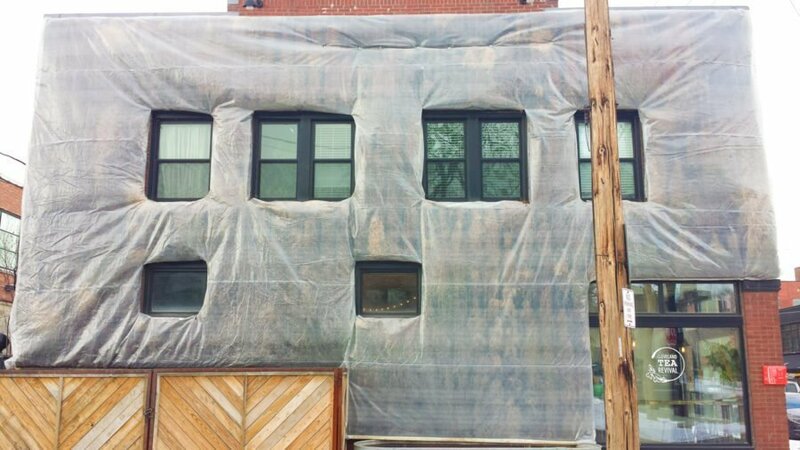 Winter Protection. 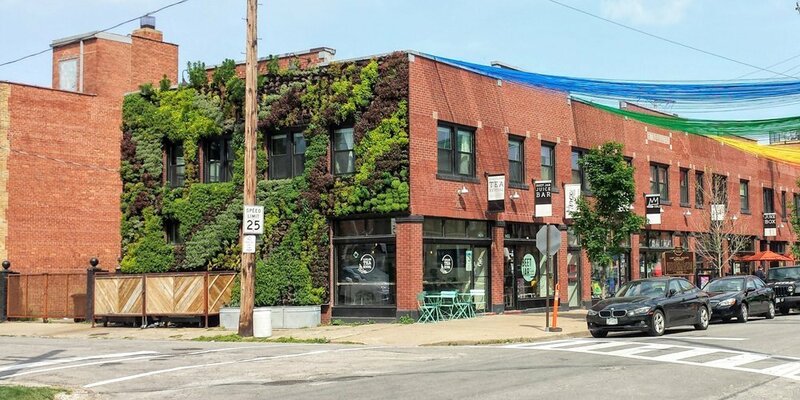 Florafelt Living Wall by Marika Shiori Clark, Hingetown, Cleveland, Ohio. 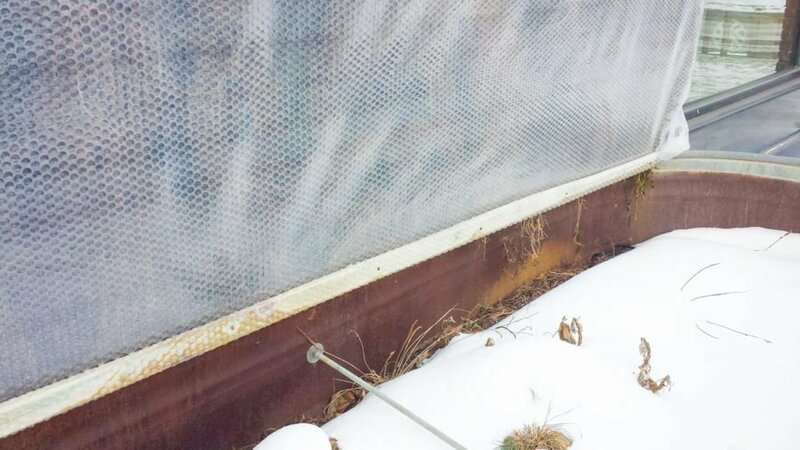 During the most frigid winter in years, this monumental living wall is surviving with a clever frost protection method in Cleveland’s Hingetown neighborhood. 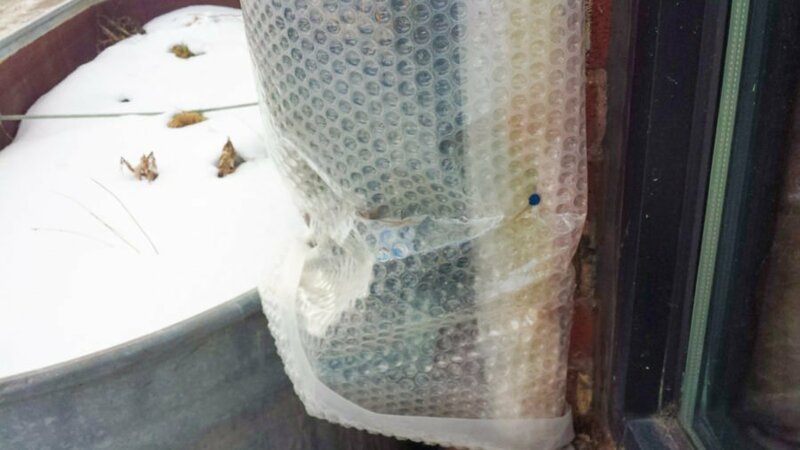 Lumber edging provides sturdy support for the bubble wrap, keeping it in place during high winds. Radiating building warmth provides just enough heat in the planted area to keep it from freezing. The system provides a mini greenhouse to give the plants warmth and light for minimal photosynthesis during their dormant stage. 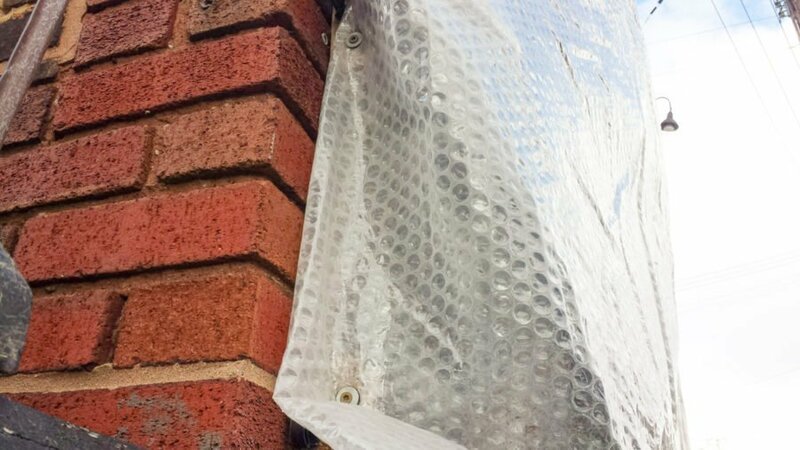 We’ll keep our fingers crossed that the plants stay healthy through this harsh winter and come back in spectacular fashion! 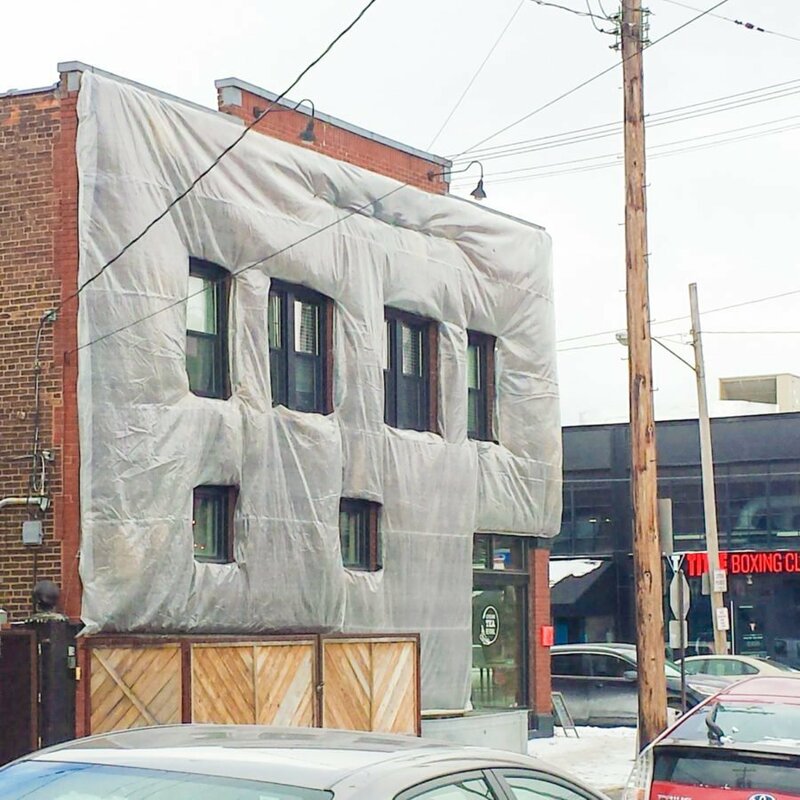 Hingetown is a vibrant new hub near downtown Cleveland, Ohio. 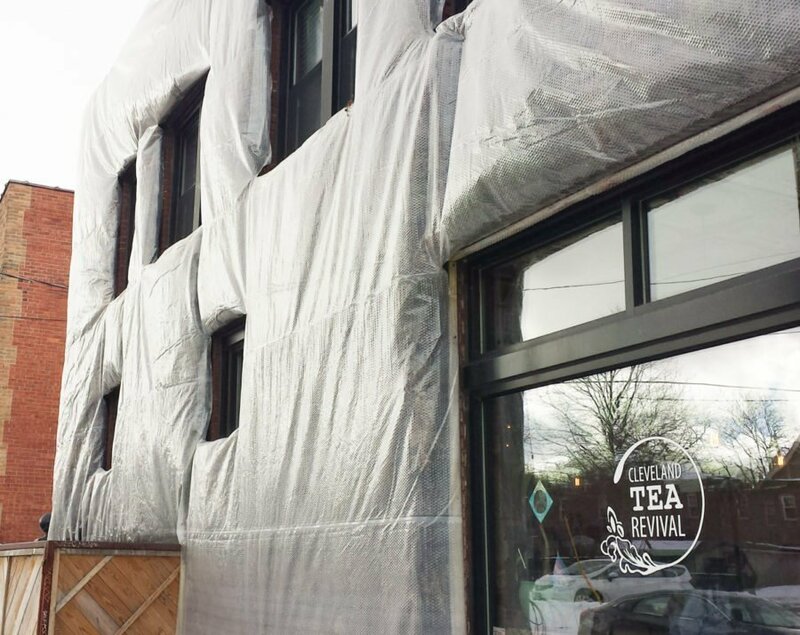 Architect Marika Shiori Clark, the creator of this Florafelt living wall has been working hard with neighborhood volunteers to build a sustainable community in this once forgotten industrial victorian-clad hub of town.